Level 4 - Self Study Online?? Apologies if posted in the wrong section.. I completed level 3 at college in February 2018, the college were useless and went into administration last month. There are no other training providers located near me so I'm considering studying level 4 online. I passed all level 3 exams first time and didn't find it very difficult however people have warned me on the leap and difficulty of level 4 so I'm really nervous about it! I was considering studying level 4 online with ICS Learn, has anyone done this?? Or can anyone recommend any good online training providers for level 4? Also how long did it take to complete from home? Hi @sophwilliamson , I am finishing L4 (waiting results on business tax exam and thats it!) I have studied from home L3/L4. My training provider is Premier Training and they have been really good, the tutor support is excellent. I started L4 on 1st April 2018, and hopefully going to finish on 7th December 2018. In regards of difficulty, it's variable and depends by person. All of us are different some might find it difficult some not. Personally I enjoyed L4 most because it went more into depth with everything, budgeting, statements and etc. Hi how are you getting on with level 4? I am mid way. 3 exams left. If you want to have a study buddy or have any questions, let me know. We at Osborne Training have the Flexibility to study online for Level 4 with live Interactive Online Classes which are offered through our State of The Art Virtual Learning Campus. Students normally complete the course within 6-7 months on average with us. However, we do offer a years access to our services. 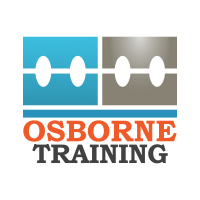 @Osborne_Training Level 4 consist 6-7 months complete?